The global circulatory system is incredibly complex, and parts of it, like the North Icelandic Jet, are barely understood. That's why these scientists are in Iceland in the dead of winter. Top photo: This Twin Otter is outfitted to do top-notch atmospheric science as low as 50 feet over the ocean surface. 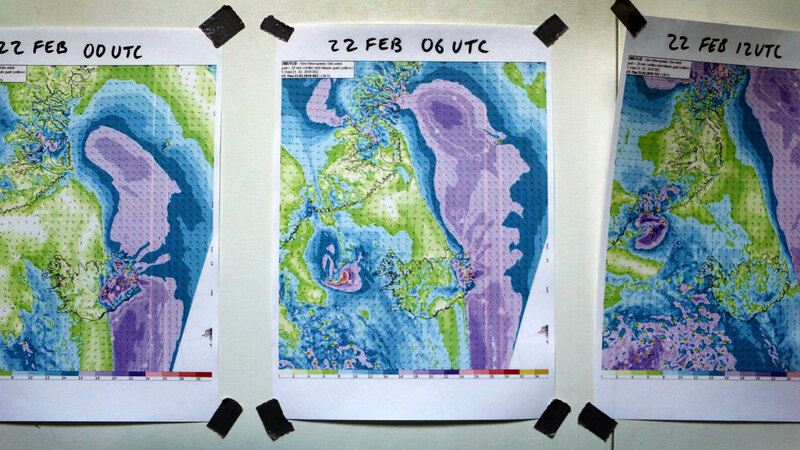 Scientists flew numerous flights in February recording temperatures over the water near the coast of Iceland. It's an obscure ocean current in a remote part of the world. 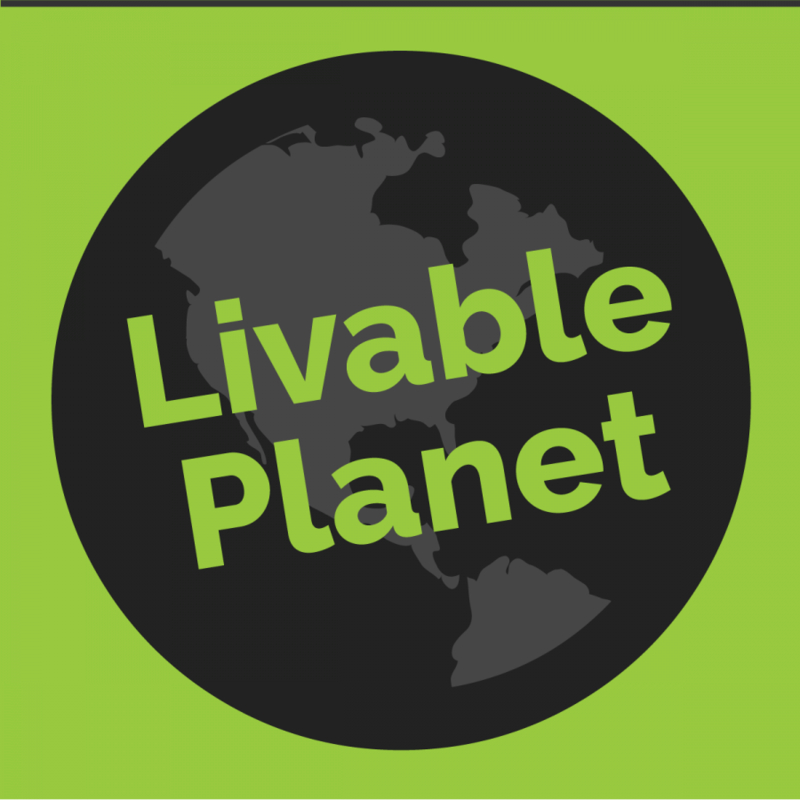 But what happens to it as the planet and the oceans warm up could affect the lives of people everywhere. That’s why Bob Pickart, a physical oceanographer from the Woods Hole Oceanographic Institution on Cape Cod, traveled to Ísafjörður, Iceland, in the middle of the harsh North Atlantic winter, planning to head into the teeth of some of the worst weather imaginable. The current is called the North Icelandic Jet. It’s a ribbon of cold water deep below the surface of the North Atlantic about 75 miles off the coast here, between northwest Iceland and Greenland, and it’s a key part of the global ocean circulatory system. But climate change is causing the Arctic to warm up fast, and Pickart says that could disrupt everything. Regional climates all over the world could shift. Some places could get way hotter or colder. Others could become drier or wetter. The global ocean circulatory system is a big part of the Earth’s climate system, but one that most of us barely notice. It works sort of like our own circulatory system, but instead of moving blood around our bodies, it moves huge amounts of heat all over the planet. It starts at the equator, where the oceans absorb heat from the sun. The warm water flows towards the poles, and once it gets to a place like Iceland, Pickart says, “it becomes really cold and dense. And then you start to get the sinking and ultimately that dense water flows back to the south,” where it starts all over again. It takes about 2,000 years for a molecule of water to travel the full loop. But the system is incredibly complex, and parts of it, like the North Icelandic Jet, are barely understood. That’s why Pickart came here, amid the stark fjords of Iceland, in the dead of winter. He spent eight years planning an expedition to explore the jet, involving researchers from eight countries. The hope was that the team would learn how the vital ocean current forms, how it might be affected by climate change, and what that change could mean for all of us. In February, Pickart walked along the tiny streets of Ísafjörður, surrounded by stunning rock formations and steep, snow-covered slope towards the ship that would take him and his crew out to sea. There was a nasty, cold rain. But the weather wasn’t quite nasty enough for him. A minute later, he got his wish. The rain had become a driving sleet. 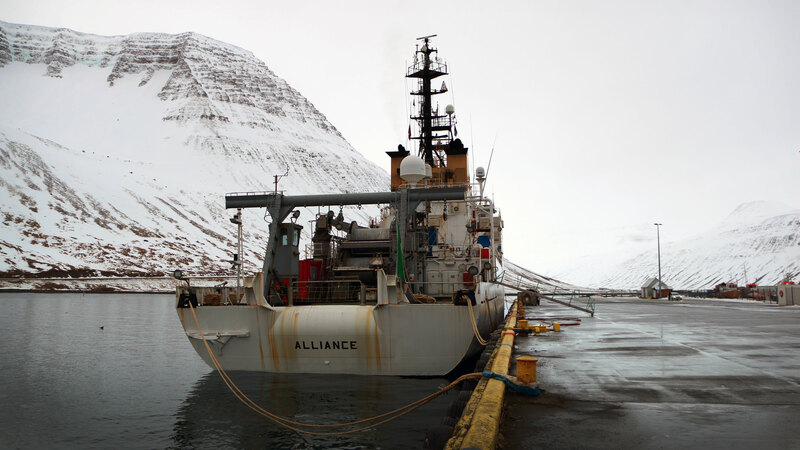 The R/V Alliance docked in Ísafjörður, Iceland, between the two legs of the research cruise. At last he boarded the ship, took cover and explained why he was getting happier as the weather got worse. Those same storms generally barrel on towards Canada, past the tip of Greenland and up here to Iceland. This is uncharted territory, partly because the research conditions are so harsh. Imagine what Pickart faced on land, only out in the open ocean — battering winds, rain and snow, huge swells and frigid temperatures. On the first leg of the cruise, ropes became caked in ice, the decks were covered in slush and it wasn’t uncommon to hear warnings over the ship’s loudspeaker urging the crew to prepare for heavy rolls. Some of the science team onboard the R/V Alliance. 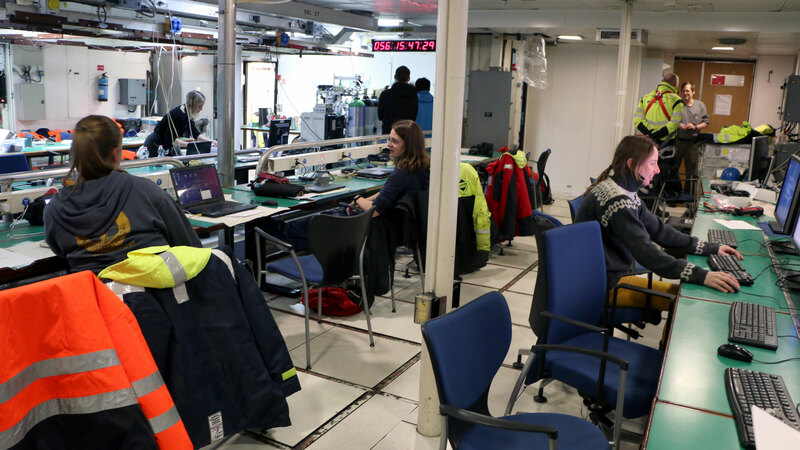 During the first leg of the project, the harsh weather caused the ship to roll, sending tables sliding across the lab. The conditions were expected, but that doesn’t mean they weren’t a challenge. Like the 30-foot table covered in computers that slid across a lab and collided with a wall. “That was a surprise,” says Frank Bahr, a technician also from the Woods Hole Oceanographic Institution. 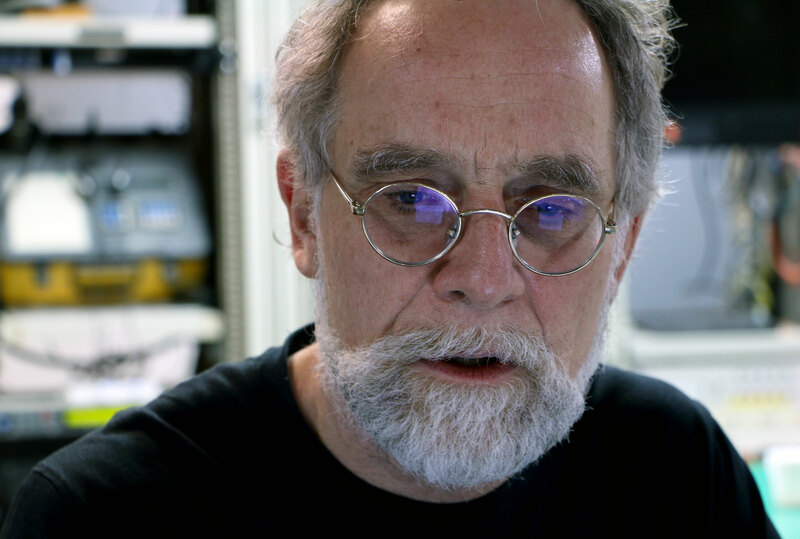 Crew member Frank Bahr of the Woods Hole Oceanographic Institution. Then there was life out on deck. “We [had] to put on these harnesses and actually use [carabiners] to link into these safety lines,” says Stefanie Semper, a graduate student at the University of Bergen in Norway. Semper says the ocean and the rough weather makes her feel small. Still, Semper was happy to be aboard. But it can be hard to get any work done — like when the ship’s technician got knocked out, or when sea conditions got so bad that the commandant refused to sail for almost a week. And as challenging as the work was aboard the ship, it was only half of this research project. 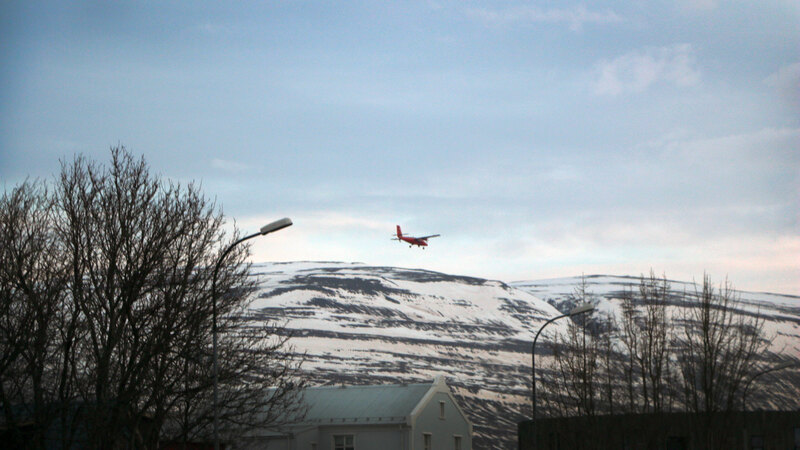 The Twin Otter aircraft above the Akureyri airport. 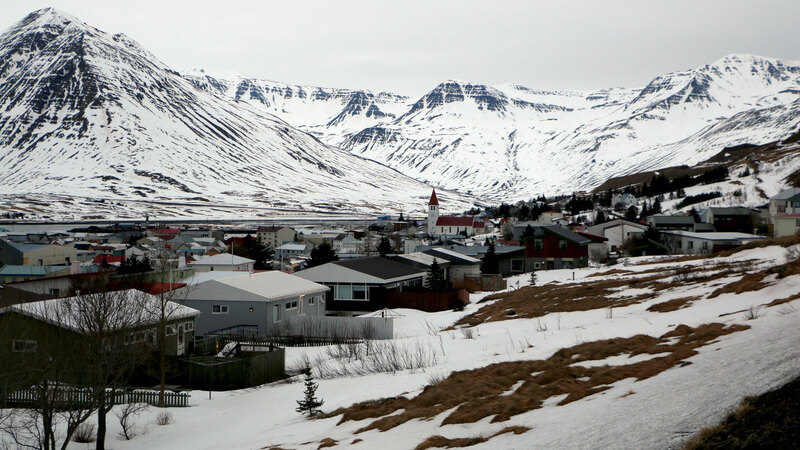 As Pickart’s ship plied the waters off Ísafjörður, a small, cherry-red plane touched down on a runway in Akureyri, Iceland’s second-biggest city, 150 miles to the east. Within minutes, it disgorged Denis Sergeev, a graduate student at the University of East Anglia in the UK. The Twin Otter aircraft was tricked out with sensors to observe interactions between the ocean and the atmosphere. It can fly as low as 50 feet over the surface, in the middle of the same storms that beat up Pickart’s ship. 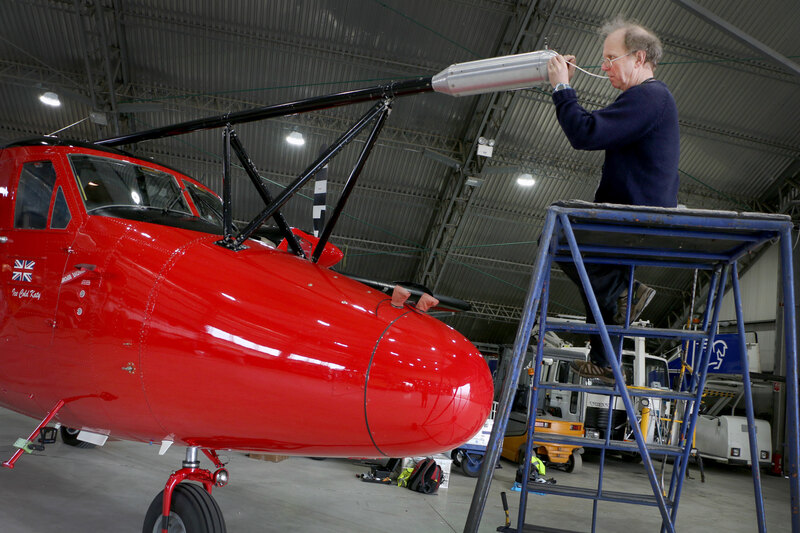 Tom Lachlan-Cope of the British Antarctic Survey cleans and double-checks meteorological instruments on the aircraft. “One of the pioneering aspects of this project is observing the changes in the ocean and observing the changes in the atmosphere at the same time,” says Ian Renfrew, a meteorologist at the University of East Anglia in the UK who coordinated the work of the plane with that of the ship. The goal was to measure the very thing that might be responsible for the formation of the North Icelandic Jet. It’s called a cold air outbreak, and it starts when those winter storms blow across the Greenland ice sheet, creating bitterly cold air over the ocean. That, in turn, makes the water heavier, so it sinks below the surface, forming that ribbon of water that snakes its way southwards. Or at least that’s the theory Renfrew and everyone else up here was testing. 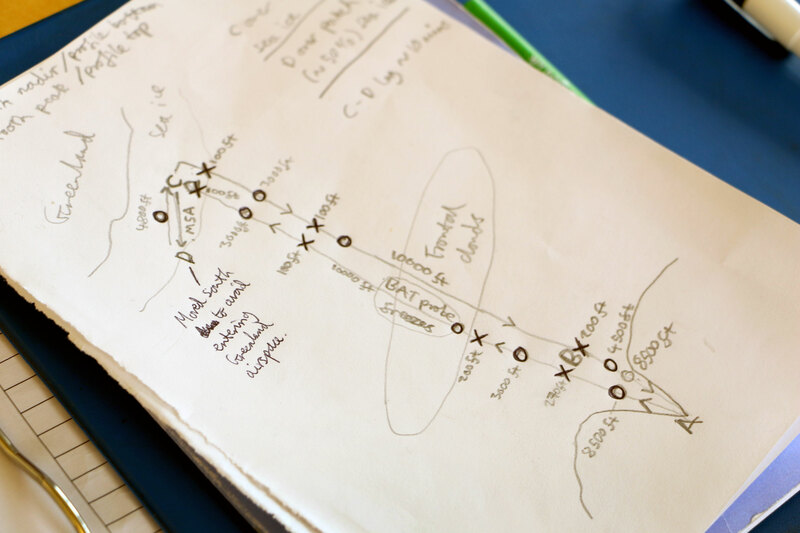 An annotated flight plan from the atmospheric scientists. The plane measured numerous properties of the air at different elevations over many flights. 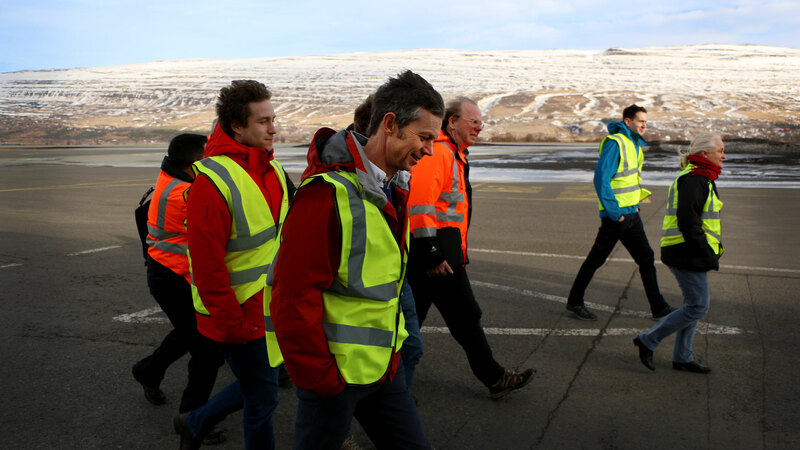 Ian Renfew, front center, and the atmospheric science team walk along the tarmac of the Akureyri airport. The flights and voyages from Iceland out into the air and sea above the North Icelandic Jet stretched out over more than a month, bobbing and weaving through all those challenges and obstacles. Wind velocity maps adorn one of the ship’s walls. That includes measurements of that key phenomenon — a 10-day cold air outbreak. “The atmospheric guys got to sample all the phases of this cold air outbreak — the spin up, the middle of it and then how the thing eventually, you know, died down,” Pickart says. The team on the ship, meanwhile, was able to observe how freshwater entering the area could alter the North Icelandic Jet. Mother Nature plus, perhaps, climate change — because we know the Arctic is warming fast. Ultimately, the research expedition that took Pickart eight years to plan didn’t get the final answers on that key ocean current or how disrupting it could change the climate all over the world. But Pickart wasn’t surprised, or disappointed. Steps that hopefully keep up with the big challenges we’re creating for ourselves. Iceland in the winter is cold, windy and wet — with much of the landscape blanketed in snow. Scientists hoped for the very coldest weather possible during the expedition. This project was was supported by a grant from the Pulitzer Center on Crisis Reporting. Tagged: climate change Iceland oceans science.